Napping is a raised surface on a textile that is a result of brushing loose staple fibers out of the fabric structure. It may also refer to the surface texture on pile-weave fabrics. The nap makes the fabric feel softer and traps air that serves as insulation. The nap is typically brushed in one direction on fabrics such as corduroy, velvet, velveteen, and flannel. Light reflects off the surface of the fabric according to the direction of the nap and produces unique aesthetic qualities on pile-weave fabrics. This aspect is important in garment construction, because if the garment pattern pieces are not laid out correctly, the end product will appear to be constructed out of fabrics of different colors. Napping is the finishing process that raises the fibers on a fabric to produce a mat of fiber ends, or nap. It may be used on knit or woven textiles made of staple fibers, such as wool and cotton, or with fibers cut to staple length and spun into yarns such as silk, rayon, and polyester. Napped fabrics are usually made with loosely spun yarns in the filling direction so that the fibers can easily be pulled out to form the nap. Historically, napping was done with teasels-the flower heads of thistlelike plants that have many sharp, hooklike ends. Except in the case of some fine wools that are still napped by hand, napping in the early 2000s was executed with machines that mimicked the early process. The early twenty-first century napping machines involve feeding the fabric through rollers that are covered with heavy fabric that is embedded with small, brushlike wires. Napping can be done on one or both sides of the fabric. Napping may improve durability, hide defects, or obscure the weave of the cloth. 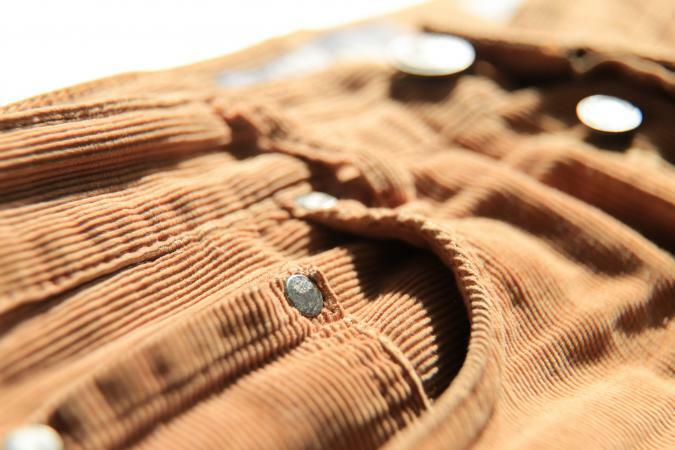 Napped fabrics may also have increased pilling, abrade more easily even with care, or flatten with wear. Common fabrics that are napped are wool and cotton flannel, flannel-back satin, polyester fleece, flannelette, and outing flannel. Sueded fabrics are also napped through a process that includes an additional step to shear the nap close to the surface of the fabric to produce a smooth, soft finish. See also Corduroy; Flannel; Jersey; Velvet; Wool. American Fabrics Encyclopedia of Textiles. 2nd ed. Englewood Cliffs, N.J.: Prentice Hall, 1972. Emery, Irene. The Primary Structures of Fabric: An Illustrated Classification. Washington, D.C.: The Textile Museum, 1966. Gioello, Debbie Ann. Understanding Fabrics: From Fiber to Finished Cloth. New York: Fairchild Publishing, 1982. Humphries, Mary. Fabric Glossary. 3d ed. Upper Saddle River, N.J.: Pearson Prentice Hall, 2004. Kadolph, Sara J., and Anna L. Langford. Textiles. 9th ed. Englewood Cliffs, N.J.: Prentice Hall, 2002. Linton, George Edward. The Modern Textile and Apparel Dictionary. 4th ed. Plinfield, N.J.: Textile Book Service, 1973. Simpson, John A., and Edmund Weiner. Oxford English Dictionary. 2nd ed. Vol. 3. Oxford: Clarendon, 1989. Wingate, Isabel, and June Mohler. Textile Fabrics and Their Selection. 8th ed. Englewood Cliffs, N.J.: Prentice Hall, 1984.